!!! 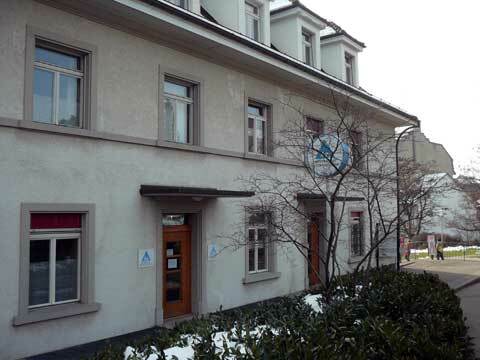 The Youth Hostel Fribourg Switzerland is temporarily closed as they are trying to find a new location. The closest Youth Hostel is located in Bern!!! The Fribourg Youth Hostel is a backpacker and cheap traveler hotel located in the center of Fribourg, only a five minutes walk from Fribourg train station. Bear in mind that this hostel does not work all year round and is open only from the beginning of March until the end of October. There are 14 rooms with 77 beds in the Fribourg Youth Hostel. The categories of rooms vary according to the number of beds: 2-bedded, 3-bedded, 4-bedded, 5-bedded, 6-bedded, 8-bedded and even 16-bedded rooms. Barrier-free access is offered in 6 rooms, 18 of the beds are disability-friendly and all rooms can be accessed by a wheelchair. The prices are reasonable and they vary from CHF 32 to CHF 47 per night. Breakfast buffet is included in the price, but the guests of the hostel are also offered to order evening meal or packed lunch. The hostel is suited for young budget travelers. A lounge and recreation room is available, as well as table tennis, basement for bicycles and Internet corner. Will it re-open in September 2018? I have not see any news about its re-opening. The closest youth hostel would be the one in Bern, which if approximately 15 minutes away from Fribourg by express train.